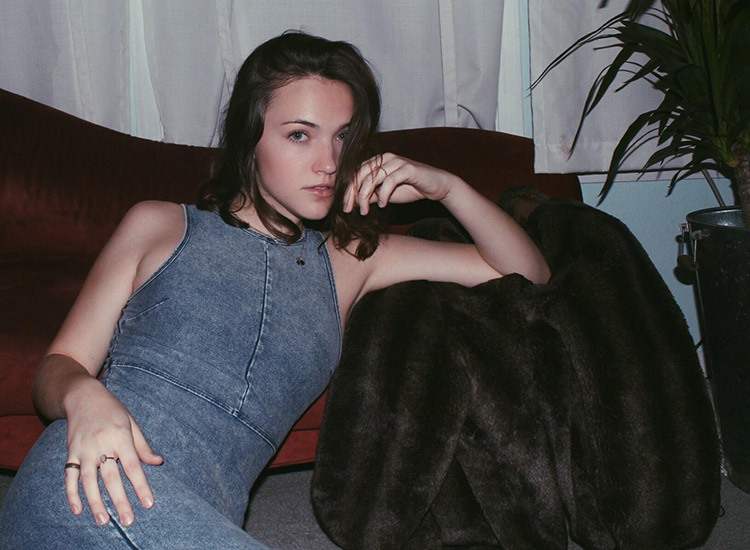 Check our exclusive interview with gorgeous actress Violett Beane, who can be seen as DC Comics superhero character Jesse Quick in The CW series ‘The Flash’. Violett went on to book the HBO series, ‘The Leftovers’. In season 2, Violett played recurring character Taylor Truitt, a local girl in Jarden, Texas, who went missing along with two other girls. Violett’s film credits include the indie horror film ‘Flay’, and the upcoming indie comedy, ‘Slash’, alongside Michael Ian Black and Missi Pyle. ‘Slash’ will be premiering at the 2016 South By Southwest Film Festival. In additional to ‘Slash’ at SXSW, Violett’s film ‘Tower’ will hold its world premiere at the festival. ‘Tower’ focuses on the UT shooting in 1966, which was America’s first mass school shooting in history. When not acting, Violett is passionate about supporting environmental and animal causes, abortion rights, ending rap violence and gun control. Violett also enjoys watching ‘Fixer Upper’, doing DIY renovations of her home and spending time cuddling with her bunny, Milo. 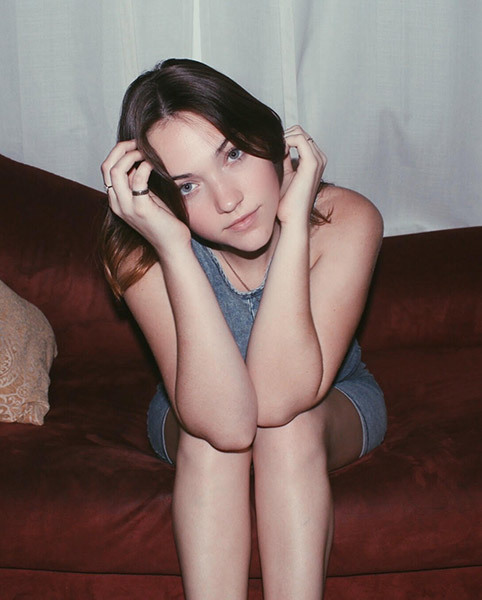 Hi Violett, please tell us about you? Hey Naluda! Well I’m an actress, obviously, but I’m also the mother of an adorable little bunny rabbit, food-enthusiast, and lover of anything DIY. Creativity is definitely my main outlet, but I’m always finding new things to be interested in, more recently being rock climbing! How did you get started acting? What inspired you to become an actress? I think I always sort of knew I was meant to perform in some way. I was in theatre in middle and high school, and anytime I had a project I would always write a speech, skit, or song to perform and it felt amazing doing it. In the beginning of my senior year, I really started focusing on getting into the Film and TV world. I found an agent in my hometown, and it’s been pretty rapid-fire ever since! Well something that is both good and bad is the travel! For The Flash alone I’ve come up to Vancouver at least 10 times and stayed for various amounts of time. It’s awesome to get to see new places, I love that aspect of it, but it does get difficult being so far from home after a while! What has it been like to be part of “The Flash” cast? Honestly, like a dream! Sometimes I’m on set and I have little freak out moments, where I just think, “Am I really here?” Everyone I work with is amazing and it just makes being there way more fun! And about your character Jesse Quick? Jesse is the daughter of Earth-2 Harrison Wells and soon-to-be speedster Jesse Quick. She is quick-witted and crazy smart. She’s fun to play because she isn’t afraid to talk back or comment on other people, so I get to bring out a sassier side of myself! What do you think is the success of the series? Obviously, the comics The Flash have a lot of influence on the fanbase, but I think even more than that, is the direction the writers have chosen to take the characters and stories, and the amount the actors are able to bring to these new ideas of the characters. Absolutely! I mean the more time I spend up here filming, the more I’m able to get to know everyone I’m working with. The cast and crew are pretty tight-knit for a show, and it makes it feel a lot less like work! How did you start on this show? I auditioned with mock-sides as a self-tape (I hadn’t even met with anyone) and after a couple weeks I got the call that I booked the job. It was AMAZING! I love seeing live music, being from Austin, I’m kind of spoiled with it. And I love spending time and money on delicious food! One of my all time favorite shows is Orphan Black. Tatiana Maslany is so freakin’ talented, it’s incredulous! Other shows are Game of Thrones (obviously) and The Walking Dead. So I guess you could say Sci-Fi is kind of my jam. Generally I listen to indie electronic artists. But I can definitely get down to some Motown, and I’m a huge fan of rap. I like a little of everything except death metal…. That’s tough. I like a new actor probably every other week, just depending on what I’ve seen them do. Right now, I think Brie Larson and Jacob Tremblay did an amazing job in Room, so I would have to say those two. I think it would be silly to deny social media’s importance in this day and age, but I try to not to get consumed by it. I’d rather go camping than sit on my phone all day. Favorite Movie: Oh man, that’s tough…. Right now? Inside Out. It was just so cute and real! Favorite Holiday Destination: I’m much more of a warm vacationer, so I would have to say Thailand or Tahiti, and I hope to go to both very soon! Favorite Sports Team: Not a huge sports fan but if I had to pick one, I would say OKC Thunder. Favorite Song: Man, another tough question…. Right now? When I’m feeling down, Still by The Japanese House. When I’m feeling up, Cheap Thrills by Sia.